Fort Lauderdale Family Law Lawyer | Addicott & Addicott, P.A. 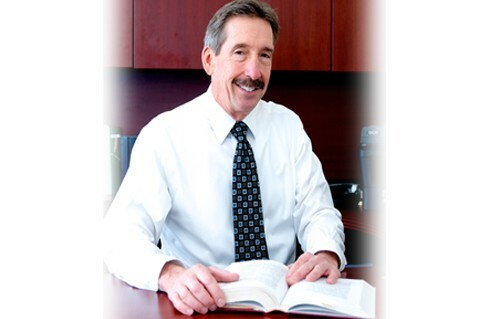 As a Florida bar board certified attorney, Michael L. Addicott is recognized as a specialist to assist you with your legal needs. Fort Lauderdale Family Attorneys at Addicott & Addicott, P.A. Addicott & Addicott, P.A. is a law firm that provides quality legal representation to individuals who need assistance from a Fort Lauderdale family attorney. We focus on family law issues such as divorce, prenuptial agreements, family mediation, alimony orders, child support, parenting plans, and enforcement and modification of child support. Our Fort Lauderdale family lawyers treat all of our clients with compassion and aggressively protect their interests. Dealing with family law issues can be extremely stressful and emotionally draining. We are dedicated to finding practical solutions for our clients’ legal problems. We possess the experience and resources to litigate cases in order to help our clients toward a desired outcome. Focusing on our clients’ needs and carefully guiding them through the legal process are major priorities. When our law firm represents a client who has filed for divorce, we maintain open communication throughout the proceedings. Trying to reach a resolution regarding division of assets and debts, alimony, child support, and child custody can be quite complicated. Our attorneys who practice in the Fort Lauderdale area take the time to inform each client of his or her rights and legal options. Some cases may need to be litigated, while other cases can be negotiated in divorce mediation. We always take our client’s wishes into consideration and won’t pursue a course of action until we receive his or her informed consent. Each client continually receives updates regarding the status of his or her respective cases. The aim of our law firm is to help each client achieve an equitable resolution to their legal problems in an efficient and affordable manner. Unfortunately, there are times when child custody, child support, and alimony issues persist within a family. If a former spouse has failed to comply with the terms of a parenting plan or marital settlement agreement, pursuing legal action may be the best recourse. Our Fort Lauderdale family attorneys understand the delicate nature of cases involving children and/or spousal support. We utilize our knowledge of the laws and legal system to strive for the best possible result for our clients. If you are facing legal issues, it is beneficial to contact an experienced Fort Lauderdale family law lawyer. Schedule a consultation at Addicott & Addicott, P.A. so that we can evaluate your situation and answer your questions. Call us today at 954-454-2605.